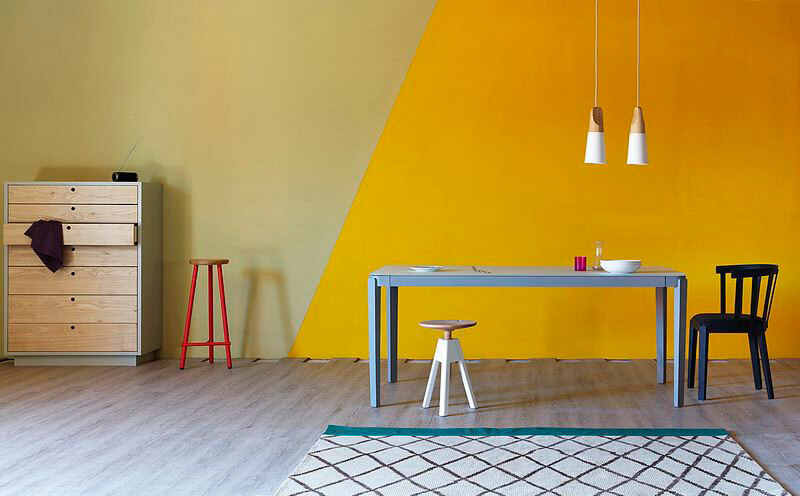 Designed by Zaven for miniforms, the Tino dinning table offers a flexible and refreshingly diverse option to traditional tables. Although the suggestion has long been not to “reinvent the wheel”, that is exactly what Tino has done with its unique design, delivering diversity, simplicity and beauty all in one. Whether choosing an aluminum structure and glass top, or opting for an extra-clear white glass tabletop, or even satin finished black glass, these tables are built to suit your décor to spec, and are as individual as the buyer themselves. Prefer a timeless wood option? 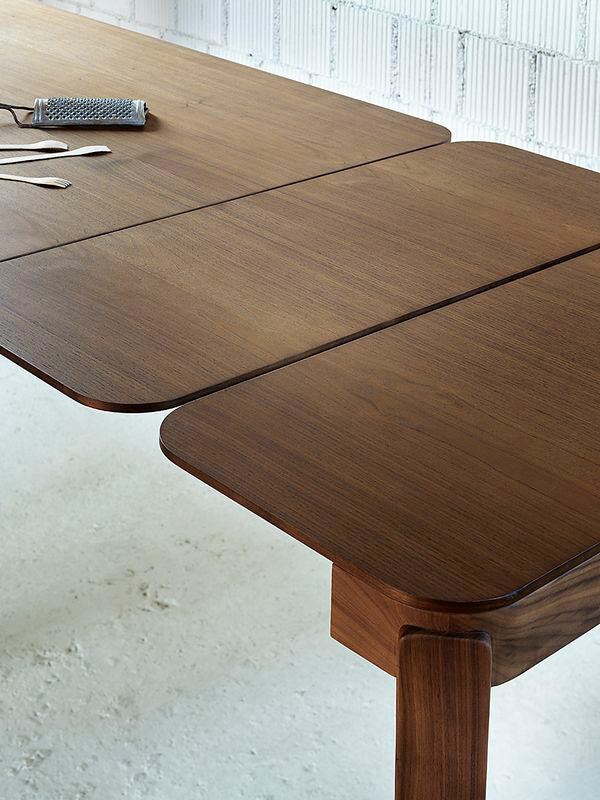 The Tino wooden top table comes in veneer on aluminum, oak sawn effect, natural oak, or Canaletto walnut, with legs standing tall on natural oak or Canaletto walnut. 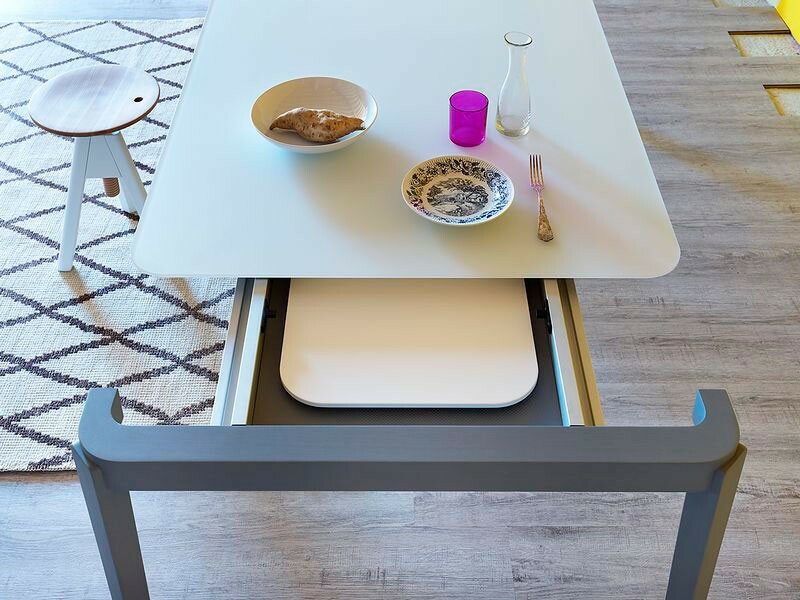 The Tino table line offers lengths of: L 150-188-226 x P 90 x H 75 or L 180-218-256 x P 90 x H 75, and come in available finishes that include the aforementioned glass extra-clear satin, white glass, glass satin, black glass, and also wood aniline white, wood aniline blue, wood aniline gray, wood aniline black, wood Canaletto walnut, wood oak ?wood oak swan effect. With no shortage of colors, lengths and custom designs, Tino tables are great for your home, office, fashion display, or any number of other things a flat surface could employ!